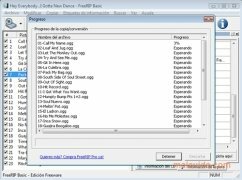 For the conversion of any kind of file to be as reliable as possible it's necessary to use specialized software like FreeRIP MP3. This software allows us to easily convert an audio CD to WAV, MP3 or OGG Vorbis. 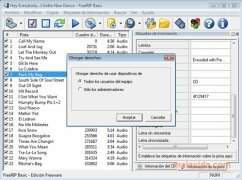 Among its features we will find the possibility to save various songs in the same digital file (very useful for live recordings where spaces between songs are annoying). 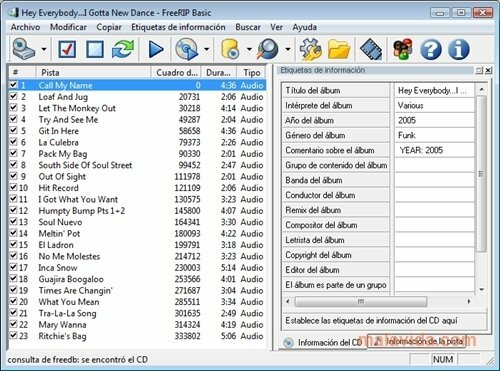 It's also possible to extract only the part that we are interested in or change the properties of the audio file, edit the ID2 and ID3 tags as well as their automatic completion with the information compiled on specialized databases that can be found over the Internet, even though if the CD includes the CD-Text tags there will be no problem at all to fill in the resulting MP3 files. 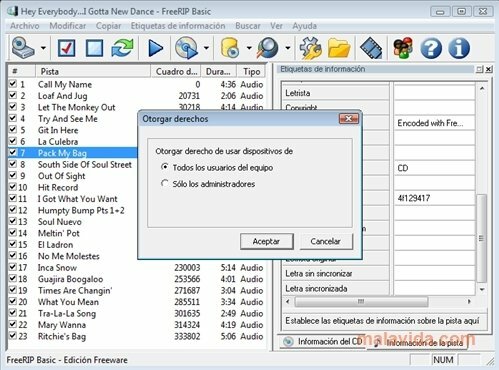 FreeRIP MP3 is capable of managing the volume of the songs that we rip to adjust them all to the same level and, as couldn't be otherwise, it generates playlists in M3U, PLS, B4S, HTML or CSV format.